I avoid using this heavy gray, non-kink hose unless I don’t have to move it very much. 2. Investing in hoses for certain stations can save you a lot of time and work. 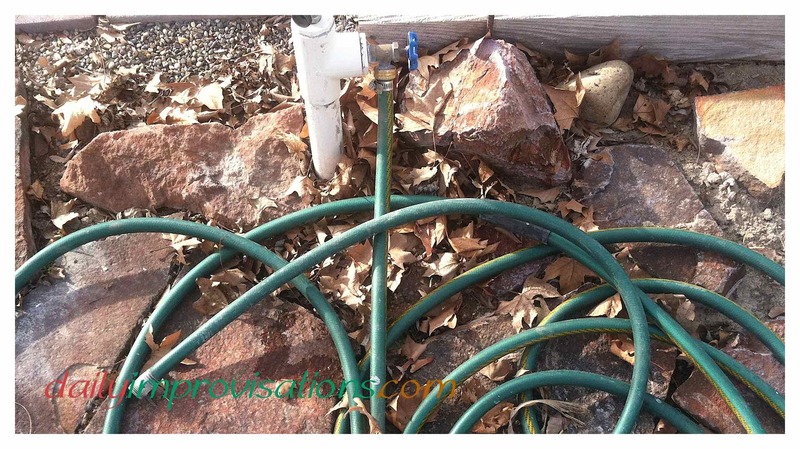 Think about the basic areas that you are always moving a hose to. Maybe it makes sense to buy one that lives at each of those places. 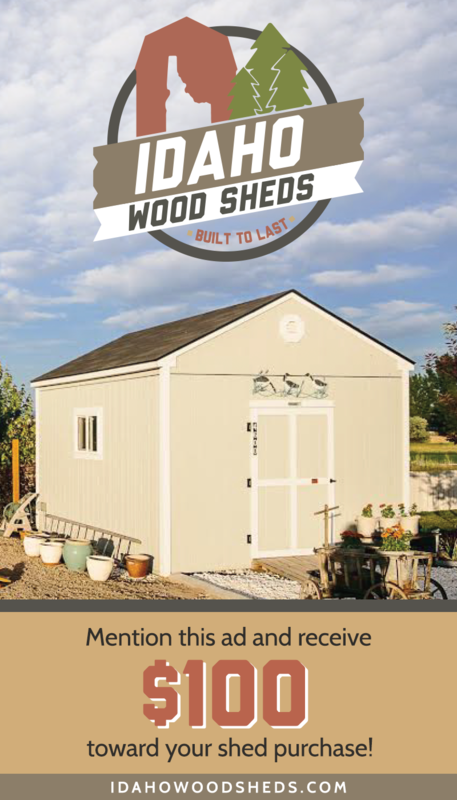 It means less moving hoses from faucet to faucet, and you might be able to water more than one location at a time, easing up the rest of your gardening schedule. 3. Thinking about the most functional length of a hose for a given station is time well spent. A hundred foot hose on the back half acre might have its uses, but if a 25 foot hose is adequate for the front, why have more to drag around or store? This faucet splitter saves me a lot of time and effort! 4. Using a faucet splitter can allow you to make better use of one faucet by having more than one hose attached, and thus more permanently located in a high use area. Or to help avoid moving the hose through certain landscaping issues. This is how I dealt with a faucet that ended up on one side of a fence, but was still the best faucet to reach sections of the back yard. This is a good time to mention how my dad uses a faucet splitter to make his rain barrel hose system neater. 5. Remember that hoses can be inexpensively and quickly repaired. I really only learned this last year and was amazed at how simple it was. If I, being mechanically challenged as I am, can do it, anyone can! You might consider keeping a few of these repair supplies on hand, because you will inevitably find you need to repair a hose at a time when it is hard to get to the store. The hose I repaired is still working well. 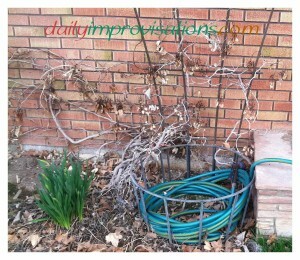 This welded rebar hose container trellis combo was a gift from my dad. 6. Large plastic pots with good sized holes in the bottom make decent coiled hose containers. Most hoses need to be wound up at least once a week to get the lawn mowed. 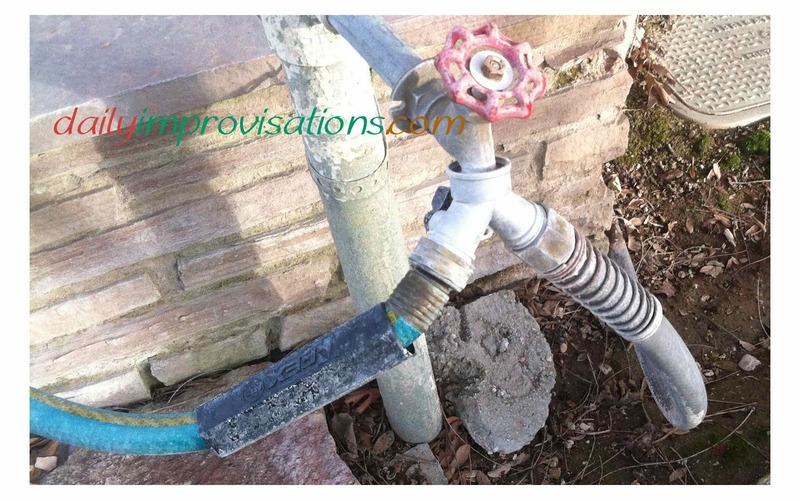 If the faucet is next to the house, you might be able to mount a rack. For those places where this is not the best option, a light weight pot with some sort of drainage in the bottom can work. It can get stinky and slimy in the pot if the water that drains out can’t escape. Debris also collects in such pots, and if they are too heavy, you can’t dump it out easily. There are some faux terra cotta plastic pots around or colorful garden totes that can work for this. 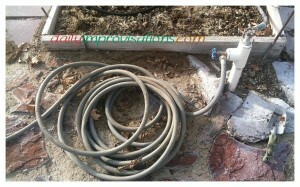 I have a hose in my greenhouse in one of the faux ceramic pots. Some places in the yard might be nicer with a more decorative receptacle, like the very open one my dad welded for me out of rebar. 7. Don’t forget that a watering chart can make your life much less stressful, not to mention save the life of your plants. This doesn’t mean you have to be on a strict watering schedule, but that you will be better able to keep track of when you watered and where. 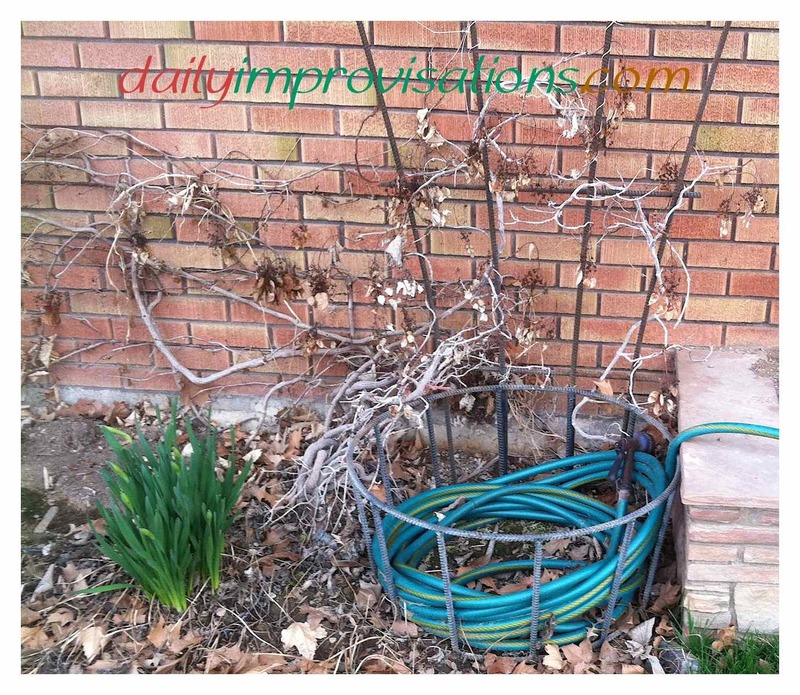 Read here to see how I came up with my watering chart. 8. Make sure your hoses have rubber washers in them. I say this for myself as much as you. Often times that is the only reason a hose is leaking. My husband had the foresight to get me a supply of them for my Christmas stocking this year, so I have plenty right now. 9. Another thing it can be very nice to have is duplicates of is the hose end watering nozzles. Inexpensive ones can be purchased for a couple of dollars at one of my local farm and garden stores. I find it very frustrating to have to go looking around on all my hoses for where I left my one nozzle. Keep in mind that any nozzle, cheap or not, will last much longer if it is not dropped on the ground after every use…. 10. Turn water off at the faucets between uses, even if the nozzle is the type that keeps it from flowing unless you press a lever. 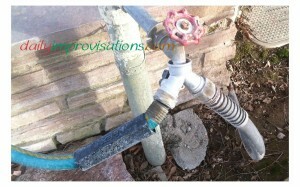 The constant water pressure is wear and tear on the nozzle and the hose.